The box that the X79A-GD65(8D) is a little busy but not so bad that it would keep you from buying it. One thing that we noticed right off the bat was the appearance of a new Better Business Bureau sticker. This is interesting, but really only applies to consumers that are in the US. Still it is good to see as it indicates that MSI is concerned about taking care of their customers. The other item that jumps out is the Gen 3 PCIe logo. Although this is not going to be terribly important until Ivy Bridge hits the market it still can get you a 9-12% performance benefit if you drop in an AMD 7 series GPU today. The back of the box gets a little more cramped, but still has some good information on for potential buyers. Inside the box we find more documentation than we are used to, but that is not completely a bad thing. 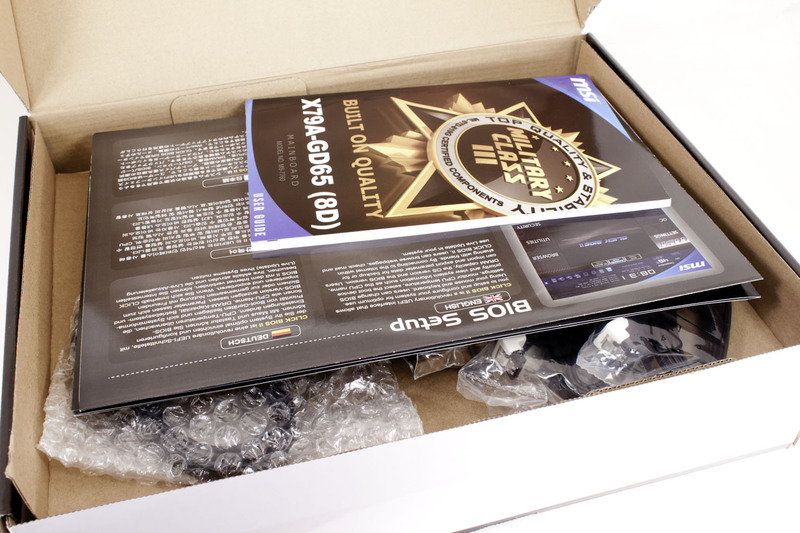 You get an overclocking guide, two types of quick start guides and then two manuals, one for the software and one for hardware. 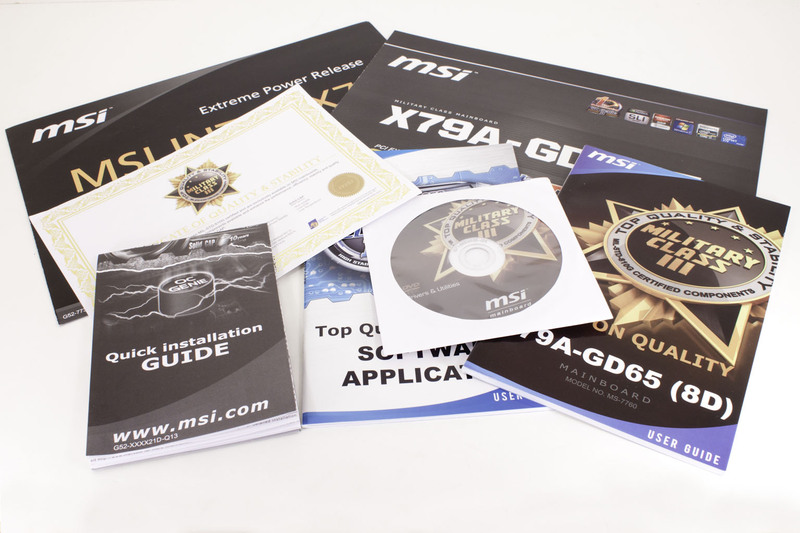 MSI has also included a certificate of quality and stability… which will be good for some. 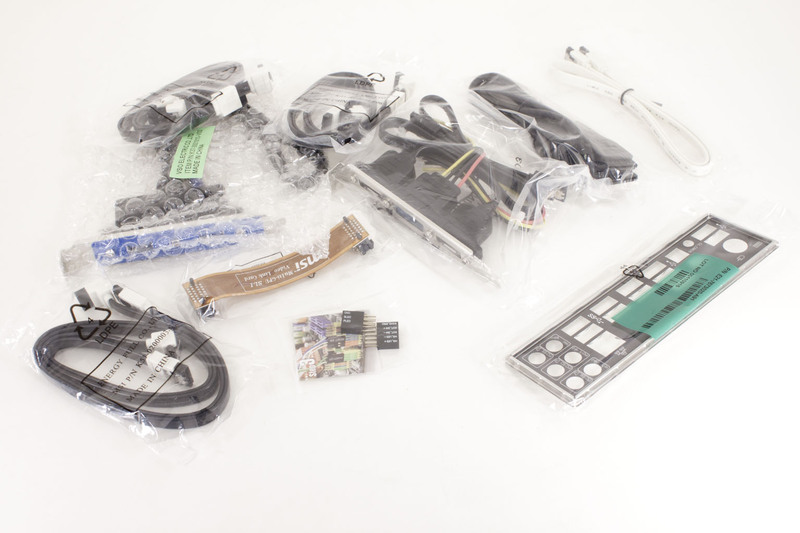 Other than that you get some typical loot inside the box; multiple SATA cables, header adapters, an e-SATA bracket, and a USB 3.0 bracket for the peripheral slots in whatever case you chose. 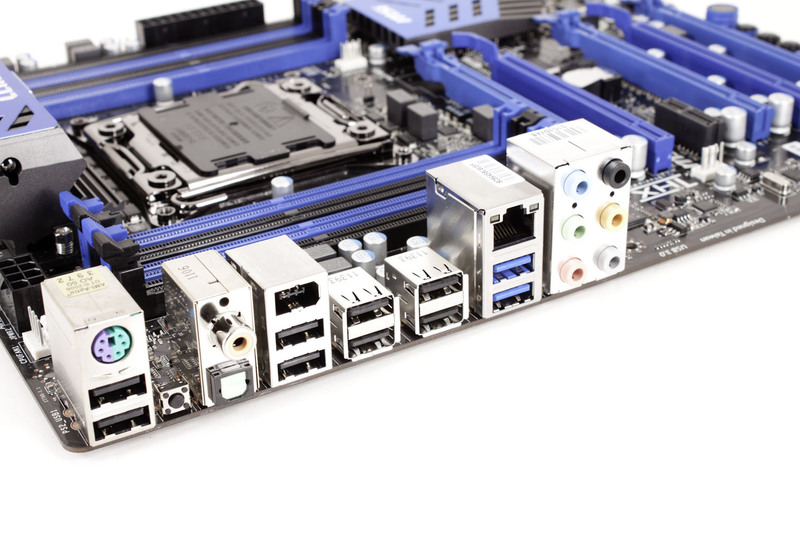 The layout of any motherboard is important. Even simple mistakes in component placement or the signal traces can cause major issued in performance and stability. With the ATX form factor we find that this is even truer; the devices we drop onto them demand more and cleaner power while the signal speeds push faster and faster. 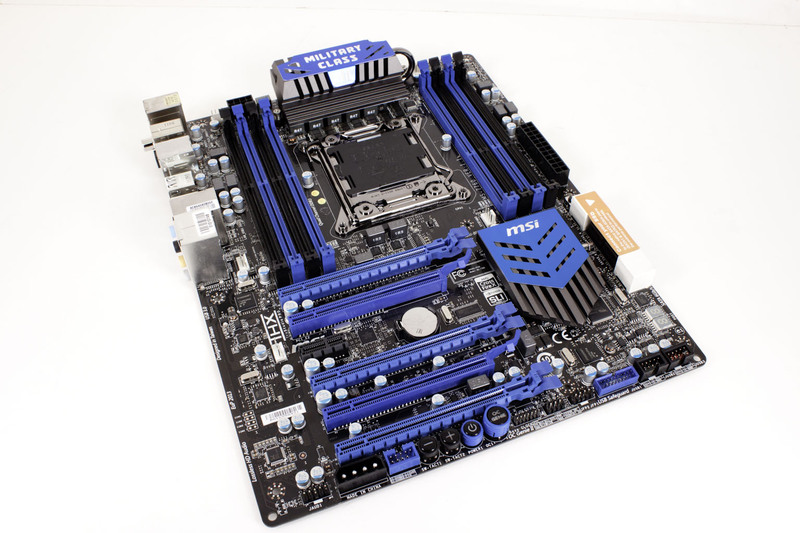 The MSI X79A-GD65(8D) is a busy board. This is not unattractive, but there is just something about it that gives it an entry level appearance. 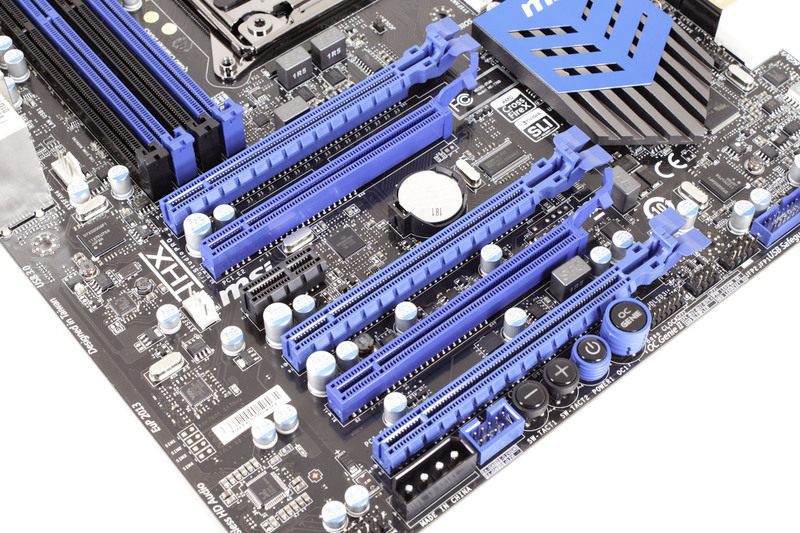 It is possibly the use of the matt blue plastic for the RAM slots and the power buttons on the board, but we have not been able to completely put our finger on it. You do get the full 8 RAM slots for up to 64GB of memory (with 8GB modules if you can find them) and the layout around the CPU is pretty clean. 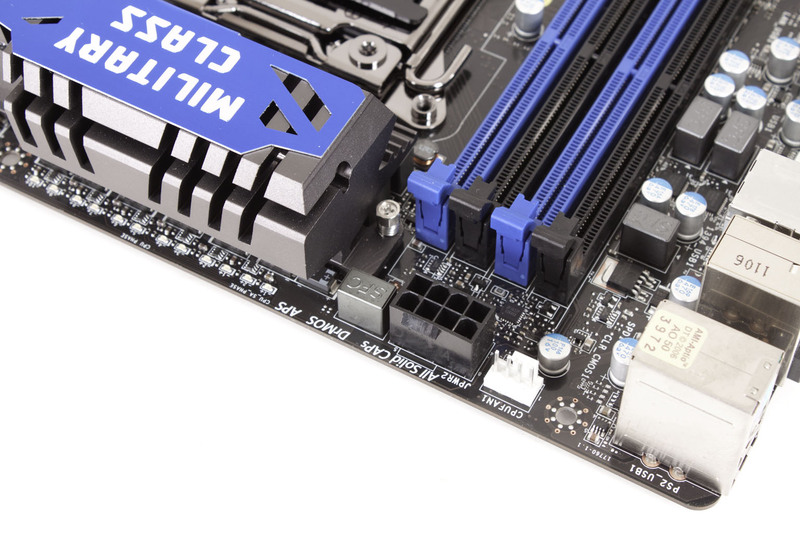 You might also notice that the RAM slots are using a one-arm style similar to what we originally saw on Asus’ boards. 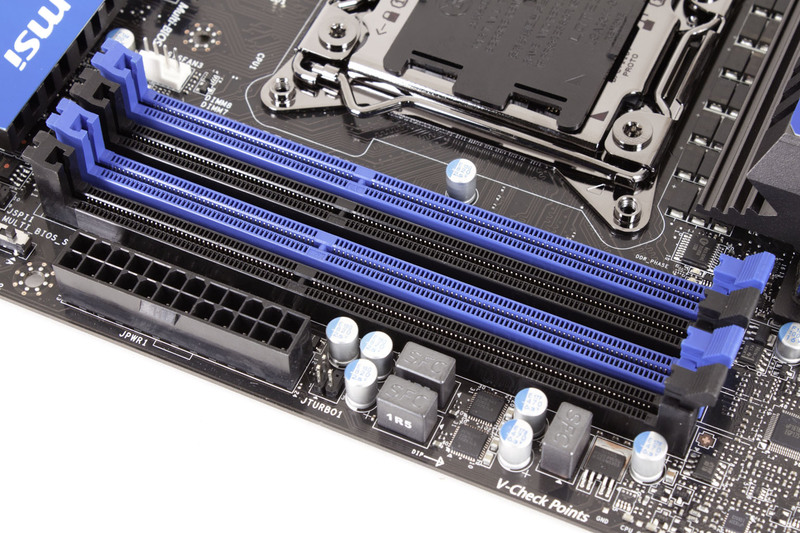 This is nice considering the narrow gap between the RAM slots and the top PCIe slot. 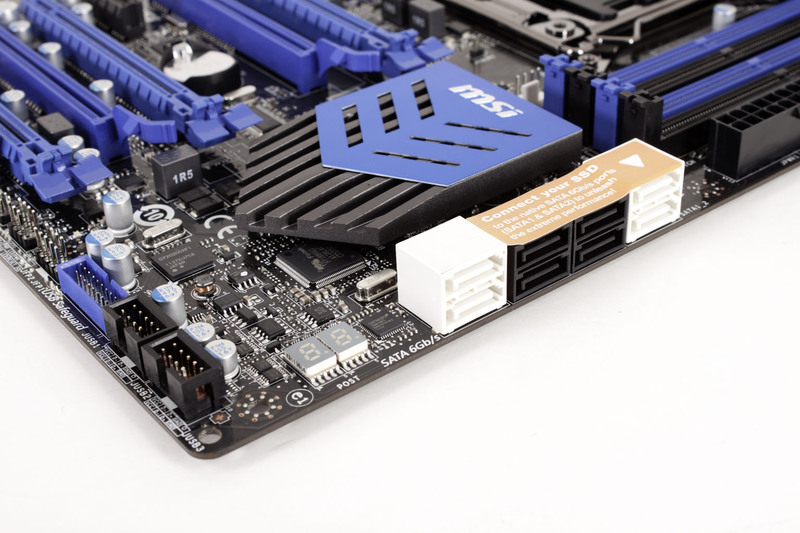 We were happy with the placement of the 8-pin aux power connector on this board. Although we still recommend getting an adapter, but at least here you are less likely to lose some knuckle skin. The peripheral slots on the board are also interesting, there are five x16 mechanical slots three of these are Gen 3 (slots 1, 4 and 6 if you count the x1 slot). Slots 2 and 5 are Gen 2, if you are using a Gen 2 card we recommend using these to make sure there are no issues (although we have not heard of any problems with using a Gen 2 card in a Gen 3 slot). The rest of the board is fairly typical with a single exception; it appears that MSI has borrowed another item from Asus. Although they have used the SSD caching on other boards (with a micro SSD) they have put in a more traditional SSD caching system where you use a 40GB SSD as cache for a standard HDD. The I/O back plane is simple with not much to talk about. 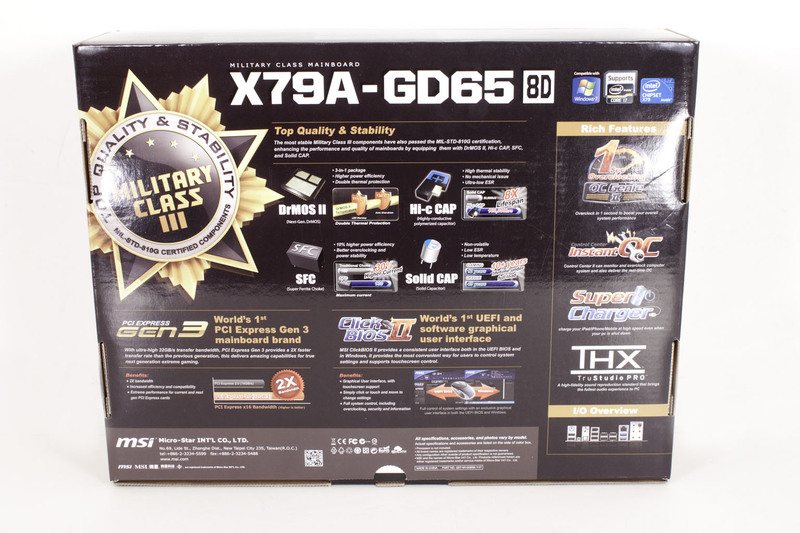 Over all the X79A-GD65(8D) is a nice board, but just seems to be missing something that we cannot quite put our finger on yet. The feature list here is light and of the three listed only one grants a measurable performance benefit. The others are more about stability and durability than anything else. This short list is also dubious for a $290 motherboard, but here we are starting to see that the major draw is going to be in the components and the Gen 3 hardware built into the board. We are pretty sure that you can understand the list here. Features like the 1 Second OC and Super Charge have been done by other manufacturers, but are still nice to see here. 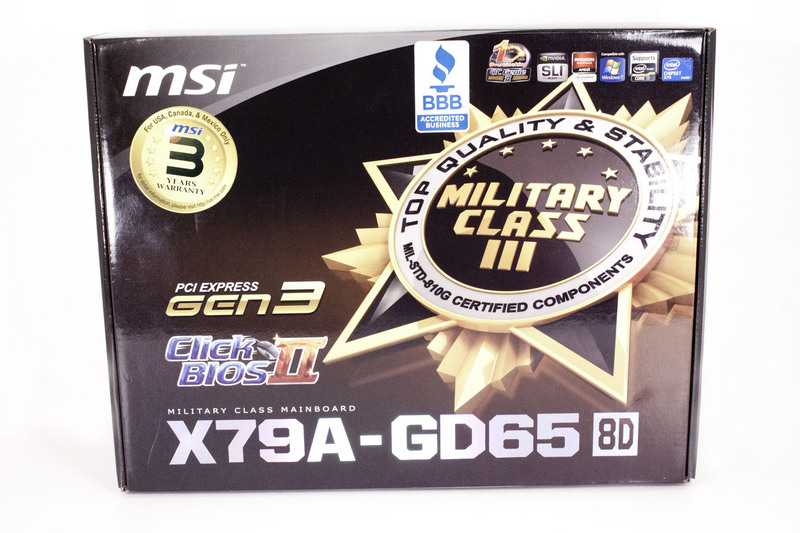 So far our impression of the MSI X79A-GD65(8D) is that MSI is looking to offer at cost effective product with a small feature set of their more powerful products. This puts in an awkward state where it feels unfinished when you are looking at it and comparing features. We hope that the performance makes up for some of this. For now take a look at our video coverage of this product.